Today, I copied my WordNerds page from my running blog into this blog—because I know most editors are WordNerds! To view the page (with accompanying comments) in my running blog, or to read my running stories, please visit Nancy Runs & Writes here. To view an explanation of what WordNerds entries are about, please visit my WordNerds (Intro) page. From now on, WordNerds posts will appear chronologically on this blog page. I’m fascinated by the connotations of words. I was walking to my gym a couple of mornings ago, and the sudden cool weather and blowing leaves tossed the word capricious into my mind. Right away I decided, “That word is going on my WordNerds page just because I like it.” Then I analyzed why capricious tugs my strings. Moods can be capricious and so can weather. There are hints of darkness and unpredictability in capricious. The word suits my personality because I like complexity, hidden streaks, and spontaneity. A capricious person or a sunny day can change quickly, and the inevitability of change reminds us to treasure what we have in the moment. 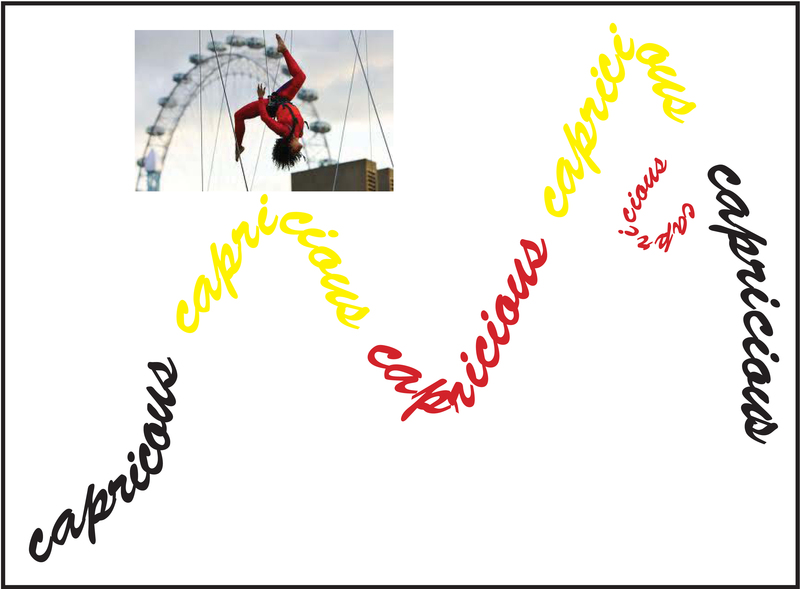 The word capricious made me think of dancing, with its connotations of playfulness, joy, and improvisation. These were my thoughts about capricious before I looked it (and its relatives) up in my trusty Canadian Oxford dictionary. It’s amazing how our brains construct connotations for words from all the contexts (real-life or literary) in which we experience a word. The following definitions support my intuitive understanding of the word and my emotional reaction to it. capricious: 1 guided by or given to caprice. 2 irregular, unpredictable. capriccio: 1 a lively and usu. short musical composition. 2 a painting etc. representing a fantasy or a mixture of real and imaginary features. capriccioso: (adv. and adj.) Music In a free and impulsive style. Isn’t this a perfect word? I would define it as the opposite of “sarcasm-lite”. 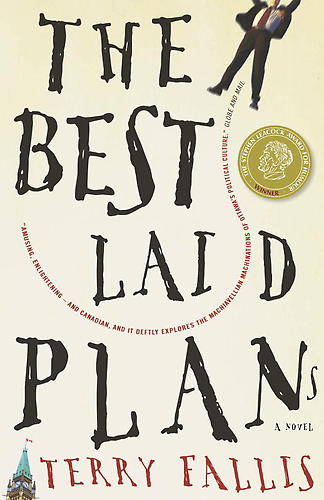 According to my brother Alan Rooks, it was coined by Terry Fallis in his political satire The Best Laid Plans. I am optimistic that it will be entered into The Oxford English Dictionary in the not-too-distant future. How can it not be, when Canadian Oxford‘s second definition for the word “caustic” is “sarcastic, biting”? I haven’t yet read The Best Laid Plans, though Alan assures me it’s a very funny book. It is a self-publishing success story: Fallis promoted it so successfully through social media that it won the 2008 Stephen Leacock Award for Humour. Only after that was it picked up by a regular publisher. 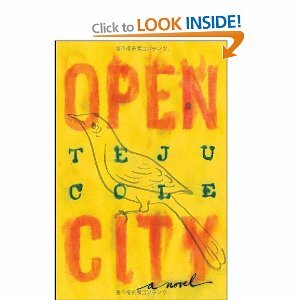 You can read the story of the book itself as well as a critical review here. 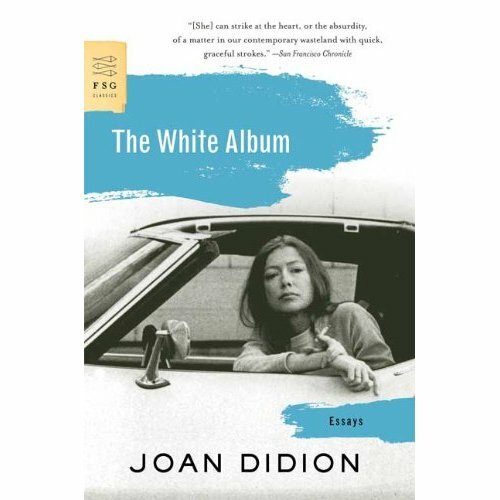 I was a little taken aback a few days ago when I read a post on a blog called An American Editor entitled “On Books: Value in an eBook World.” (Read article here.) Of course we’re all familiar with the word e-book, but I hadn’t seen “pbook” used in this way before. I was also more than a little surprised that an article in an editor’s blog would randomly use the two spellings “pbook” and “pBook.” Ironic, I would say. I might even be tempted to be sarcaustic about it if I was in a bad mood. Do my readers have any preference for spelling? pBook, pbook or p-book? Or should we reject the word altogether? Recently I was thinking about dramatic changes in my personal and social life. People whose lives were once intertwined with mine are now…extwined. Except that there is no such word. I like the word that sprang into my head. I think it deserves to exist. It seems unfair that English has two words, intertwined and entwined, that according to both the Canadian Oxford Dictionary and Word’s English (United States) thesaurus are synonyms, yet the only antonym given for them is free. And though I’m happy that I’m free, that word is not, in my opinion, quite right as an antonym for intertwined. If English displays a strange absence of words (like extwined, which I’m trying to remedy; if enough people share this post it will go viral and perhaps extwined will be added to the next edition of Oxford), it also contains words that seem to be superfluous. So from this information, how would we differentiate percipience from perceptiveness? Is percipience a superfluous word or is this one of the countless cases in English where there is a nuance of difference in meaning between the two words? Oxford suggests the answer, because it gives a definition of percipient as a noun: “a person who perceives, esp. something outside the range of the senses.” So perhaps percipience involves a kind of intuition in addition to ordinary perception. Can anyone illuminate percipience further? Wow! I sure couldn’t resist passing this one on. It describes the state of the moon tonight, on May 5, 2012. It means the moon is simultaneously full (the “syzygy” part) and as close to the Earth in its orbit as it ever gets (its “perigee”). This means that the moon will be “13 percent bigger and brighter than usual” tonight, according to Kate Webb’s article in Vancouver Metro. I’m going to try to get a look at it at 8:38 p.m. as Webb suggests. When it’s just rising, the moon looks bigger, and is supposed to have an amber glow around it. However, there just might be some clouds in the way. Do all videogamers know these words? I never play videogames, but because of my son’s fanaticism I have enough exposure to games that I understand they include activities and text that aren’t part of the actual narrative of the game. Pusillanimous: I was reading something (?) where this adjective was used to describe a rooster. I knew I knew this word; but I had to look it up in the dictionary. Canadian Oxford: “lacking courage; timid.” Surprise! The word is so ugly and evil-sounding to convey this meaning. Pleonasm: The phrase “stupid black negroes” was supposed to be an example of this. Globe and Mail reviewer Martin Levin (January 7, 2012) used this word in his description of Kate Beaton’s graphic work Hark! A Vagrant. “…a delicious gallimaufry that makes mock of cows sacred and profane with equal relish.” Sounds like fun! I saw this on the front page of The Globe and Mail, December 17, 2011. The word was being used to describe people’s reaction to the movie The Adventures of Tintin that had just come out. I will define its meaning myself: It means to worship all things related to Tintin, the famous comic book character created by Belgian writer Hergé. I picked this word from the same newspaper (December 17, 2011) because I had never seen or heard it before. The definition from Oxford is “A device that converts an analog signal into an encoded digital from, and decodes digital signals into analog form, used in telephone systems and in video systems for computers. [Blend of coder-decoder.] Clever! Well, I’ve revealed that I’m not a techie. I like many French words. A lot of them have become accepted and familiar as part of the English language. This all goes back to the Battle of Hastings in 1066 when William of Normandy conquered England the the French-speaking Normans mixed with the Saxons of Britain. “Bonhomous” means “full of bonhomie” (“geniality; good-natured friendliness”). Another French word. I saw it recently and included it here just because I like the sound of it.